Just as promised, Pebble has released another series of updates for its smartwatches right in time for spring. Previously, sleep tracking accuracy was improved, and now the Pebble Alarms app has been smartened up to wake you based on your sleep activity. That means it can tell the difference between your light and deep sleep, waking you 30 minutes before your set alarm or avoid waking you respectively. Pebble Health now includes Mobile Health Snapshot which is a new feature that better organizes all your activity letting you compare how your last day, week, or month of activity measures up against your other activity. Health also auto-detects runs and long walks now, and will send you a summary of either activity after completion. Pebblers with iOS and a Pebble Time, Pebble Time Round or any other Time-series watch on AT&T or Verizon are getting a few text reply upgrades that were only available to Android users. With the Send Text app, you'll be able to start conversations right from the wrist and send canned responses or voice notes to recent and favorite contacts. Incoming calls can also be replied to with a canned text or voice note. 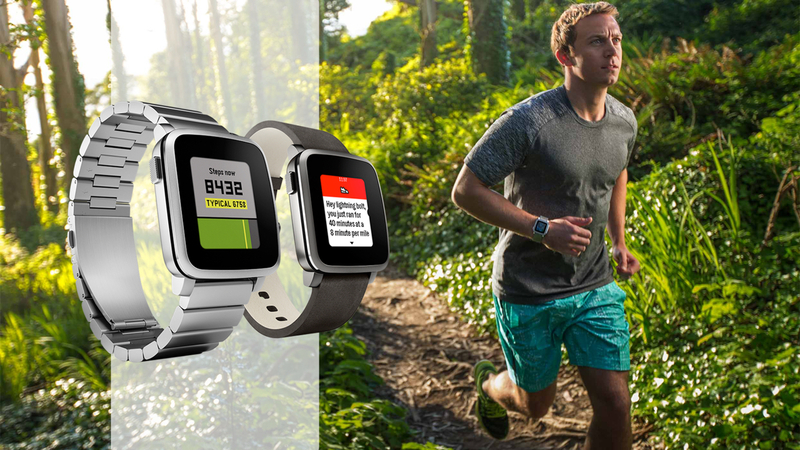 Like the sound of the new Pebble Health updates? What else would you like to see Pebble add? Let us know in the comments section below.